The book will bluntly lay open all the wounds of hurt during Karan’s growing years, when he was subjected to ridicule for being effeminate. If the indefatigable Rishi Kapoor could have his way, his long-in-the-pipeline memoir would be titled ‘Son of a Famous Father, Father of a famous Son’. However, the title has now been rejected by publishers, and Rishi’s biography will now be, Khullam Khulla, after the hit song in his film Khel Khel Mein. Rishi has admitted that the memoir, co-written by journalist Meena Iyer, has been delayed only because of him. Is Rishi’s biography going to be a tell-all? “If you think I’m going to talk about the women in my life, then sorry my friend. They are married with children and grand-children. And, so am I,” chortles Chintuji. However, what he does promise is a whole lot of insight into his life as a grandson, son, father and husband. 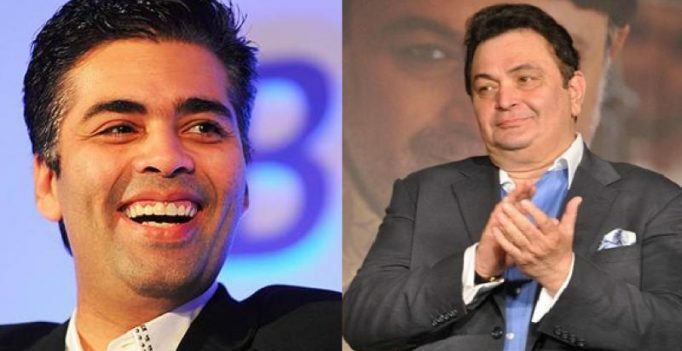 Another biography to be released soon, is Karan Johar’s An Unsuitable Boy. Penned by journalist Poonam Saxena, the biography’s title is a tribute to litterateur Vikram Seth’s A Suitable Boy. Incidentally, the book will bluntly lay open all the wounds of hurt during Karan’s growing years, when he was subjected to ridicule for being effeminate. Initially planned to be launched on Karan’s birthday in May 2016, An Unsuitable Boy was unduly delayed due to the trouble surrounding the release of his film Ae Dil Hai Mushkil.